Wix is a cloud-based web development platform with eCommerce functionality for small businesses. Features include templates, product galleries, and shipping and tax management. Businesses use Wix to set up online stores. Wix is a free cloud-based web development platform. Pros: Easy to use. Great templates. Cons: Expensive to rid site of ads. Bottomline: Wix offers excellent templates and a simple dashboard for building basic websites with basic features. Paid version much more feature-rich. Is there a Wix free trial? Wix is a free platform. 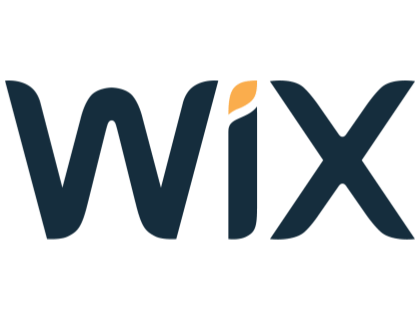 Where can I find the Wix login? Go to wix.com and click "Login" in the top right corner of the homepage, or sign in directly here. What are some Wix alternatives? I would personally recommend wix.com. It's easy to use and has drag and drop features. It supports gifs and video integration, photo slides, all types of links and buttons with delays, parallax effect scrolling. Point is, you can make it very pretty and presentable.Now the trick is, your domain will be something like username.wix.com/pagename. You don't want that, doesn't look professional so to have your own domain you'll have to buy it. Everything is free except the domain and certain widgets that you can add. There will always be a free one but fancier/better quality ones are a one time payment. Wix is a brilliant blogging platform that is free and gives you many beautifully-designed templates. Even non-savvy people can quickly build a relatively professional blog site with their intuitive dashboard and detailed guidelines. But, if you take your blog site seriously, I would suggest you start with a premium web hosting service for reliable performance, highly secure environment, and quality customer service. Definitely other tools might be more powerful such as WP but assuming that you don't have the time and experience then WIX could be of great value and help. There are some techniques to optimize on WIX SEO and you can read about that in their documentation and WIX supports https for sure. I used wix to create at least 4 different sites and I was happy with them. I mean they are not super powerful but they are very easy for good looking sites. And assuming you are an artist with a portfolio to share, gallery, about page and home page. Then Wix is good enough. I don’t recommend Wix at all. They have restrictions and it will cost you a lot more if you want your site to be ad-free. Plus, if you decide to move your site to another platform later, they have no method for you to export your content. You are better off just using a free blog platform like Blogger or go for the self hosted WordPress. Here’s a good comparison of 5 blogging platforms that will help you understand the pros and cons of each one. If it's your first time doing any web stuff, I would actually recommend Wix. Its builder is so easy to use for the average Joe, and it's a great way to even just visualize your options before proceeding further.